Chelsea are considering entering the running to seal the transfer of Barcelona midfielder Denis Suarez as his move to Arsenal now looks dead in the water. The Spain international has been linked with the Blues in the recent past by the Express, among others, though Arsenal had recently looked the major favourites to win the race for his signature. However, Mundo Deportivo now suggest talks have broken down between the Gunners and Barcelona due to an inability to finalise the details of his loan move and whether or not it could lead to a permanent transfer. CaughtOffside understands this is set to see Chelsea move back into the running as Maurizio Sarri remains keen on adding a midfielder of this type to his squad this January. CFC could do with more options in that position after Cesc Fabregas’ move to Monaco, with the likes of Nicolo Barella and Leandro Paredes also among the names linked with the club by the Telegraph, though these have not materialised so far. 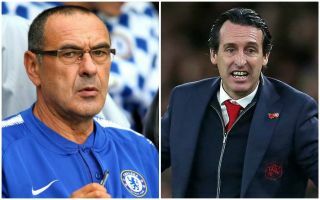 Denis Suarez to Chelsea transfer on the cards as Arsenal move breaks down? Suarez could be a decent alternative and should be easily affordable for Chelsea, even if he wasn’t for Arsenal. This would no doubt rub salt into Arsenal wounds, with the 25-year-old an ideal signing for their needs this January but now more likely to strengthen a major top four rival instead.